I have identified the resistance zone of 2080 to 2100. Volume is ok and the momentum indicators are confirming the near-term uptrend. S&P 500 is trading above the 200-day moving average. 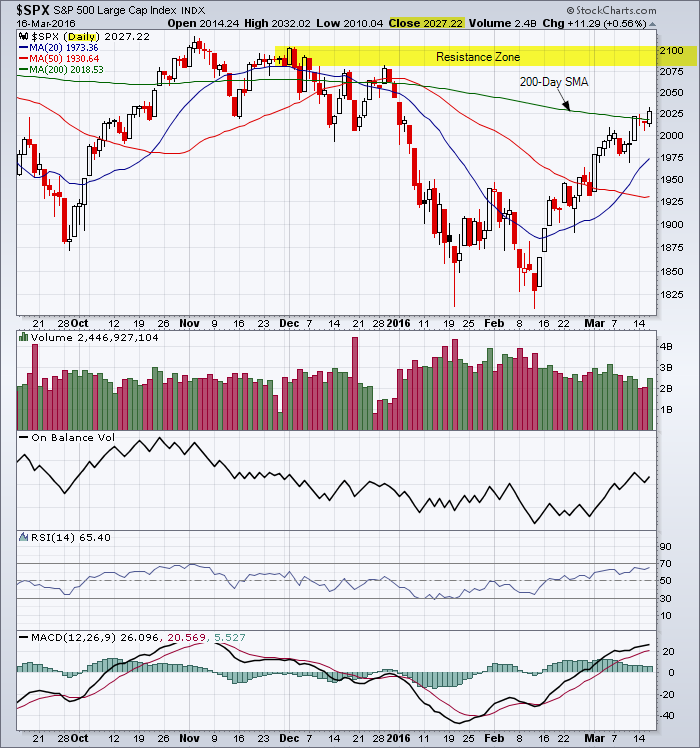 This entry was posted in U.S. Indexes and tagged candlestick chart, S&P 500 on March 16, 2016 by Trader.